The inclusion and participation of people with a disability in our community continues to be a challenge. Residents affected by a disability face barriers of disadvantage, such as employment, poverty and discrimination. This means that people with a disability do not have the same opportunities as residents without a disability. People with a disability are more likely to report poorer health and wellbeing than that of a person without a disability. Of the two million Australians living with disability, 45 per cent live in or near poverty. That’s more than 2.5 times the rate of poverty among the nation’s general population. People with a disability also have a higher unemployment rate of 9.4 per cent, compared to 5.8 per cent (March 2017) for those without a disability. And when they do work, they generally earn less compared to employees without a disability. This CAIS reaffirms Council’s commitment to improving the overall quality of life for people with a disability living, working and visiting our region, and ensuring our services and facilities are accessible and equitable. A certain amount of flexibility has been built into the CAIS’s implementation plan. This is in recognition of the rollout of the National Disability Insurance Scheme (NDIS), which is scheduled to be implemented in our region 1 January 2019. 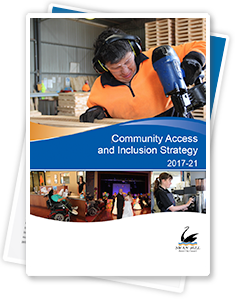 This document was developed with input from our community, including people with a disability, carers, service providers and Council staff. 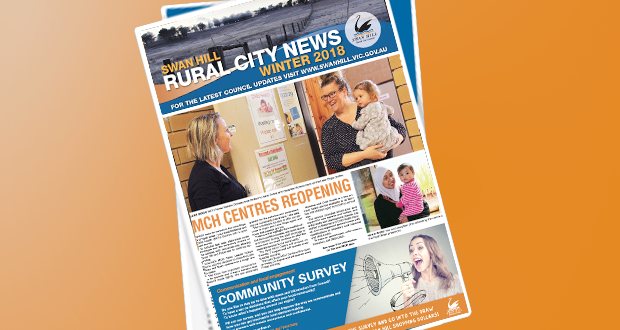 Community feedback was received via surveys, interviews, listening posts, focus group meetings and discussions with Council’s RuralAccess Coordinator.